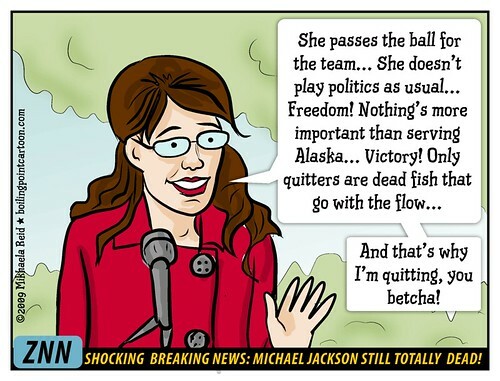 Boiling Point Blog: Feminist, LGBT and progressive political cartoons: Toon: Sarah Palin Quits... for Victory! Not much different than the actual speech, really. Did you see the edit at Vanity Fair? Mark Fiore: "Obama vs. Obama"